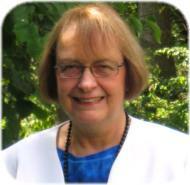 McLean Therapist: Mary L Lyon - Therapist 22101. Send A Message To Mary L.
I am a licensed professional counselor in private practice in McLean, VA. I received a masters degree in counseling psychology from Marymount University and a post-masters certificate in clinical counseling from Johns Hopkins University. I am in my thirteenth year of private practice. I work primarily with adult individuals, couples and families and I specialize in treating depression, anxiety, loss & grief, life transition and relationship difficulties. I am trained and experienced in psychodynamic growth-oriented psychotherapy including the impact of spiritual issues on emotional health. My counseling style is strongly relational with an emphasis on your inner world and psychological development and how both impact your interpersonal relationships. My goal is to provide a safe and caring environment where you can feel connected, speak honestly and discover ways to solve problems as well as bring about emotional freedom and psychological growth. I have a background in the ministry working with students in the United States as well as government, military and diplomatic leaders in Washington, DC. I also spent fourteen years living and working in Eastern Europe before the fall of communism. This part of my life has given me a broad range of experience with people from all walks of life and many cultural backgrounds. I have a love for other cultures and have developed a sensitivity to cultural issues.